The sage grouse is an exceptionally showy bird and an icon of the American West. But its sagebrush habitat is disappearing, and there is debate over how best to protect the populations in an increasingly developed landscape. A new study by University of Washington, state and federal researchers analyzed sage grouse in Eastern Washington and showed a surprisingly large benefit from a federal program that subsidizes farmers to plant year-round grasses and native shrubs instead of crops. Although the program was adopted for many different reasons, the study finds it is probably the reason that sage grouse still live in portions of Washington’s Columbia Basin. 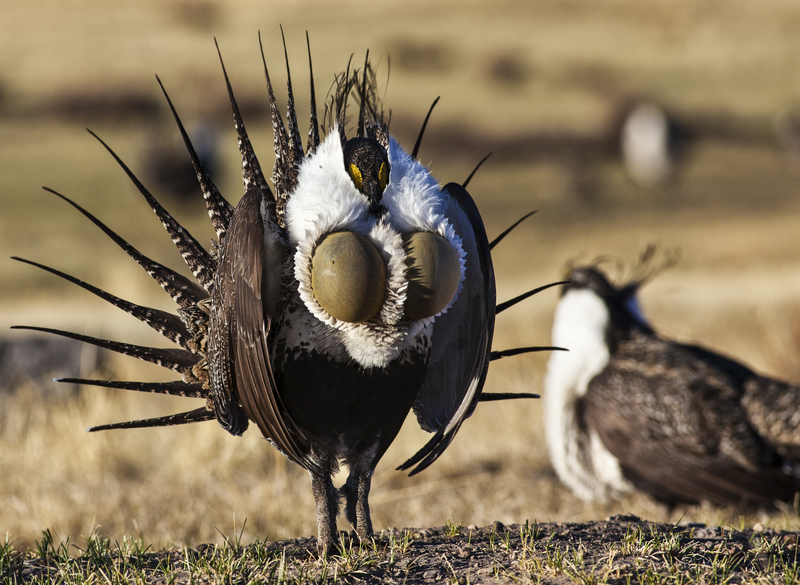 “Without these lands, our models predict that we would lose about two thirds of the species’ habitat, and that the sage grouse would go extinct in two of three subpopulations,” said first author Andrew Shirk, a research scientist with the UW’s Climate Impacts Group. The study will appear in an upcoming issue of the Journal of Wildlife Management. The Conservation Reserve Program (CRP) was established in 1985. It is a voluntary federal program that pays farmers to plant agricultural land with environmentally beneficial vegetation for 10- to 15-year contracts. The program’s goals include improving water quality, reducing soil erosion and boosting wildlife habitat. Of the roughly 24 million acres planted through the program in the United States, about 1.4 million acres are in Eastern Washington. The fields are planted with native shrubs and perennial grasses that provide cover for sage grouse and other animals. In Eastern Washington, the sage grouse population has declined by 77 percent since 1960, and only about 8 percent of the birds’ historic habitat remains. The population stabilized at about 1,000 birds in the early 1990s — about when the fields planted as part of the Reagan-era CRP program first reached maturity. Washington sage grouse live in three main areas: the Yakima Training Center in the southern part of the state; Moses Coulee in the center of the state; and Crab Creek to the east. 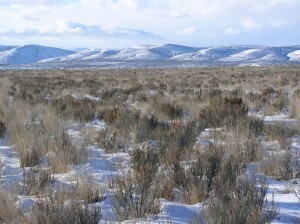 The Yakima Training Center is a U.S. Army training area where the native sagebrush habitat is mostly intact. But the other two areas are heavily agricultural, with irrigated farmland around the Columbia River and wheat fields farther from water. Sage grouse in other Western states are threatened mostly by oil and gas exploration and other types of development. “Eastern Washington is a unique landscape. It’s a patchwork of irrigated agriculture, dryland agriculture and CRP land,” Shirk said. 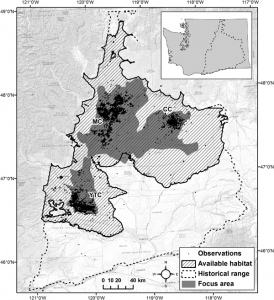 Previously, studies of sage grouse across their range in the United States suggested Eastern Washington agricultural areas would not be hospitable for the birds. 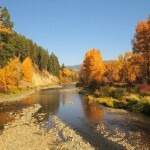 Indeed, Washington’s habitat is a relatively small island separated from the broader sagebrush seas in Montana, Wyoming, Idaho, Oregon and Nevada. 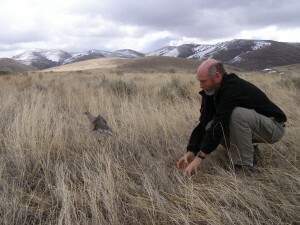 The authors’ results show that without the federally-subsidized CRP lands dominated by native grass and big sagebrush, sage grouse in Eastern Washington would only have about one-third the amount of usable habitat, and the two subpopulations in agricultural areas would become so small that they would likely go extinct. “When populations get too small, and too disconnected from other populations, they become very fragile,” Shirk said. A harsh winter, for example, could decimate a small population. On the flipside, the analysis shows that if Washington’s CRP lands were reallocated to be near existing sage grouse populations, to maximize benefit to the birds, their habitat could be increased by as much as 63 percent. Co-author Michael Schroeder with the Washington Department of Fish & Wildlife has been monitoring Washington sage grouse for decades. His data of sage grouse sightings from 1992 to 2014 allowed the researchers to model how much various factors matter for the population’s success. The authors looked at each season, including winter, when agricultural fields are bare, and spring, when sage grouse are nesting. 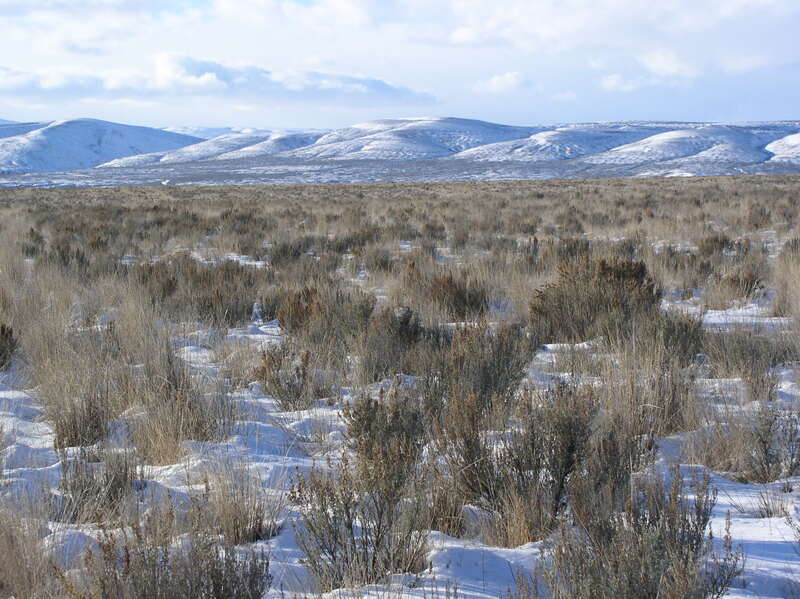 In Washington, big sagebrush tends to grow taller than in other places, and the higher branches leave ground-level nests more exposed to elements and predators. Schroeder’s research shows that the CRP also benefits other sagebrush dwellers, including sage thrashers, Brewer’s sparrows, savannah sparrows, vesper sparrows and sagebrush sparrows. These lands could become more valuable to wildlife in a changing climate. 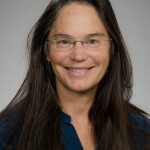 Other co-authors are Leslie Robb, who is based in Bridgeport, Washington, and Samuel Cushman at the U.S. Forest Service in Flagstaff, Arizona. The research was funded by the U.S. Fish and Wildlife Service, the U.S. Bureau of Land Management and the Washington Department of Fish & Wildlife. For more information, contact Shirk in Olympia at ashirk@uw.edu or 360-556-9067 and Schroeder in Bridgeport at Michael.Schroeder@dfw.wa.gov or 509-686-2692.